Once upon a time, a family switched insurance companies. Mother went to Target to pickup groceries methotrexate with a $10 coupon. When she went to the counter to pay, the insurance had “denied” coverage for the medicine. In the age of cell phones, mother figured she could cure this problem in a moment right there in the store. So she called her insurance company. Customer service: Can you ask the doctor to prescribe another option? Mother: No, methotrexate is a generic drug, there is not another version. CS: Isn’t there an alternative to metrex-re-erer-eate? Mother: No, this is considered the background treatment for the disease. Ninety-five percent of Rheumatoid Arthritis patients are prescribed meth-o-trex-ate. CS: Your diagnosis is arthritis? You need injections for arthritis? Mother: No. It’s a disease. I have to have these injections as treatment. And they are required to continue with my other treatment as well. CS: But it is arthritis, right? Mother: No. It’s not. Mother: Look, it doesn’t matter. This is the about the cheapest treatment for this disease available. And it’s almost universally prescribed. I’ve taken it for years and you need to cover it. CS: We don’t have to cover it because you inject it. We don’t cover things you inject at home. Mother: It’s no one’s business how my doctor and I decide I’ll deliver it. It’s always been covered. If it were insulin, would you cover it? CS: But that’s a treatment for diabetes. Do you have diabetes? Mother: No, but that’s exactly my point. RA is a disease like diabetes. And methotrexate is the treatment. Mother made several other calls and the insurance company covered subsequent methotrexate prescriptions. Fast forward two years. Mother gets most of her prescriptions at CVS because Target hasn’t sent any coupons lately and… because the CVS pharmacist always seems willing and able to help figure out solutions. Whether it’s devising a plan for easier methotrexate injections, getting a priority antibiotic filled immediately, or ordering methotrexate to be sure it’s available during the shortage, this CVS pharmacy has provided exceptional service. I don’t know about you, but usually when I need something from a pharmacy, it’s because I’m sick. Which means something’s not right. Usually I’m in pain. Or worried about myself or one of my children. There have been countless times when I needed the pharmacy at a stressful time. 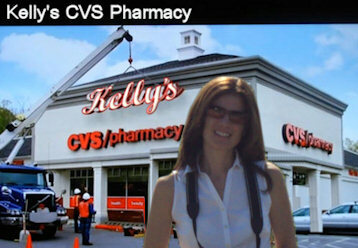 Every time I’ve needed assistance, my local CVS pharmacist has been helpful and cheerful. That generous attitude filters down to staff as well. 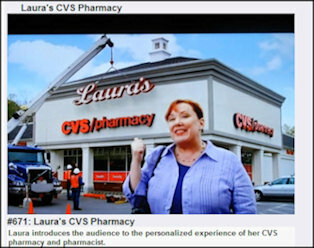 When I saw the Laura’s CVS commercial recently, I couldn’t wait to talk about Kelly’s CVS! 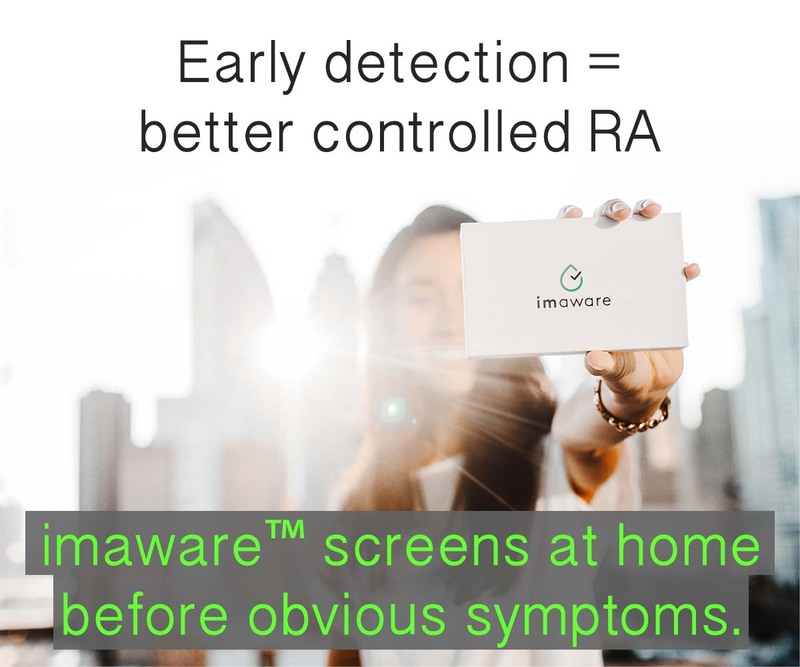 I will say, and I’m on the front end of this, that the financial implications have me more terrified of the RA diagnosis than the actual disease. And I’m a state worker, with historically good insurance (but not as good as in the past). I’m also “head of household,” since my partner is retired and is on my insurance. Please keep us posted to developments. I have no idea what their excuse is this time at the ins co – we’ve had too much going on to spend a day on the phone yet – I’ll have to do that soon and find out what they say. One reason I like the CVS pharm in my neighborhood is that they always manage to get the drugs covered when the Walmart says “it’s not covered” or “you don’t have insurance for this” – Well, I do if CVS or Target or Publix submits it – I finally reached a limit of operator errors at the Walmart pharmacy..
My Target pharmacists are great. I switched to them, when CVS could no longer compete on prescription prices. They know me by voice and sight at the pharmacy. However, recently, a few of my scripts are going to CVS. For example, my Methotrexate is cheaper there. Plus, if I need to have it filled, my CVS is a 24 hour store. Unfortunately, Target isn’t. I will still use both, because my dogs meds are not covered by insurance and Target has an awesome discount program. My [may need in a hurry] meds (MTX, Medrol, etc) will go to CVS. The others, Target. I know there are great pharmacists at many franchises. And they are a big help. My injectible MTX isn’t covered by insurance, but it is because the actual cost is less than my $20 co=pay for generic drugs. I remember when I started injectable MTX that it was refused coverage too: “we don’t cover injectable meds”….REALLY? Who actually would have the forsight to check out whether injectable meds are covered before signing up for insurance coverage? Always thought it was just plain unbelievable. But just like insurance people to drag their feet about covering what the Dr. prescribes as the right and standard treatment for the particular condition…. So, it isn’t just my insurance that claims this! And yes, MTX is cheap compared to other things one might be prescribed…..but how dare they not cover meds because they are injectable? yep, I’m remembering, and agrivated all over again….. I love my Rite-Aid Pharmacy – it is so comforting to go into a place where they know who you are and what your situation is. Both pharmacists there have gone out of their way to help me. My insurance offers a by-mail service for on-going ‘scripts, but I would rather pay just a bit more and have the personalized service. It’s good to know that there are still some areas where taking care of the customer/patient matters. My smallish town grocery store pharmacy (Safeway) is fantastic. They know me because I fill things fairly frequently, and they are always willing to call for me or match prices for even my pet’s medications. The worst pharmacy I dealt with was in AZ, a drive through Walgreens. The pharmacist questioned my dx every time I filled pain meds (against the law, but she did it anyway). I needed the drive through at the time, and that was the only one. Ugh. It’s great when they know you isn’t it? It’s amazing the difference it can make if they are nice. The Walmart staff once told me that at least I’m not sick – “there are really sick people around here” – I can’t believe I went back there after crying that time – I think I blogged about it a couple years ago. There are several good pharmacies and this excellent one to give business too – so I’m going to make sure I support them with my business from now on instead. Most of our meds are mailorder Walgreeens by insurance choice so we only use local when we are sick – or for the methotrexate. I get unbelievable support from my CVS pharmacist. I even get free home delivery. It may have to do with the fact that she is my wife. Wow, great planning on your part!!! Just kidding, like we would ever plan on having RA. That is a very fortunate position to be in, almost as good as having a dr in the family, maybe better when you think about it. Don’t have to worry about crazy hours, etc. Ugg! Makes me so mad. 3 weeks ago I went to pick up my narcolepsy medication which I have taken for 2 years. It now requires “prior authorization”. I’ve had to call the insurance, call the doctors office, call the insurance. So far, doctors office still hasn’t lifted a finger to get this auth for me and I’m getting ticked! I’m not taking the medication because it is fun! I cannot function without it! I actually fell asleep driving middle of the day for the first time ever a few months back. That was a huge wake up call that I cannot drive without my medication. I was very lucky to not have killed somebody or myself. And now I can’t even get it filled and nobody wants to help me. Very frustrated and angry it now requires authorization because the insurer and my employer (self-insured) don’t want to pay for it! It’s not that much money and it’s up to us whether it’s worth it to fight it – but they’d pay for mtx PILLS or insulin injections. It’s not right. one word to describe the conversation about MTX and RA, unbelievable! my pharmacy is walgreens. they know me and have bent over backwards to get my MTX injectable. the head pharamcist even called his friend in *chigago* to see if he could get it mailed from there. I wonder if they are denying injectable because of the shortages. They are pushing hard back against the wave because of the cost of production vs. the pills. I wonder. My insurance company forced me to change my pharmacy in January, no longer covering the one I was using and have been using for years. And, yes, it’s not if it’s a CVS or a Walgreens, it’s the pharmacist that runs the pharmacy and the relationship that you have built with them. I switched to a local grocery store pharmacy but I am pretty sure I will be switching again – no relationship there. Plus I can’t stand that I have to fight all the traffic and parking every time I need a prescription filled. I need a smaller parking lot, easier in and out. I miss the 24 access but the old pharmacy was the only 24 one around so I guess I’m stuck. I am pretty sure that my insurance has a desire to make my life more difficult high on their list. I’m sure this is just a side effect of their desire to maximize profits and minimize expenses and not something they purposefully do. But, make not mistake, my wellbeing is not on the insurance company’s list at all. It makes me angry to pay for a service that we have to constantly fight to receive. I love it when they act like we have no right to the benefits we and our companies have paid dearly for. Really, it’s so annoying to be told by clerk that you can’t have the medication that your doctor has prescribed and now you have to fight with your insurance to get the service that you paid for or, alternatively, pay for it yourself. They are, you know, hoping you will do that – it saves them a ton of money. I love my CVS as well. They know my name, ask about my family, how I am doing, and even give a treat to my dog when he comes with me to the drive through. When I was out of town, they made sure the CVS near where we were visiting was contacted and filled my prescriptions there. They make the complicated medications I take easier by explaining everything to me. Funny (in a not funny way at all), I do have a seizure disorder, and take one of those meds that the generic is NOT recomended. ONly once has an insurance company asked me to take the generic, but the Pharmacist helped avoid that. With an undiagnosed arthritis (not rheumatoid, more than likely psoriatic, as have recently been diagnosed with psoriasis), I’m avoiding the diagnosis. 🙂 One day, I know I’ll be back at the dr’s. And yes, I tried to explain to my husband’s elderly aunt’s the other day about psoriatic arthritis, and their response was, “It’s part of getting old.” I started to go into the ra/psoriasis/autoimmune disease explanation, but it wasn’t worth wasting my energy. My pharmacy is Walgreens. Because my rx provider is Express Scripts, I was supposed to change pharmacies, but I really like my pharmacists so I’m staying with them and submitting the claims out of network and using a Walgreens saver card. I used to pay $10 a month for rx vitamin d because insurance wouldn’t let me fill the 90 day script, but doing the claim out of network I only paid $12 upfront for 90 days and was reimbursed $1.40 by Express Scripts. All in all it saved me $19.40 on a 90 day rx for vitamin d. I won’t give up my great pharmacists who know me and all the drugs I take! ‘scuse me while I bang my head against the wall. ARGH!! LOL. Thanks for the smile. And save your head!! Way to go, CVS! (or, insert other favorite pharmacy here). Just went through a long methotrexate routine myself – had to get a new vial every time if there was no preservative in it – and I kept getting single vials of preservative-free anyway! Thanks to the patient pharmacist getting that straightened out. Hey – have to pass this on – I just found out that if you take Humira you can get it AND your methotrexate for free! I had been paying close to $100/mo on these two, with my insurance co-pays, since last summer when I was diagnosed. go to myhumira.com for the card – I wish someone had told me about this sooner! Exactly, Mary! Yay for pharmacists who are a big help! And the little tiny vials for single use are very hard to draw with the needle too! today i was able to finally get my bcbs florida to accept the treatment my doctor offered because i will be going into the office to get injections of cimzia (like chemotherapy). they wouldn’t pay (with the prescription plan they offer) any drug that i would self-inject at home – well at least i can finally get treatment! it took a lot of phone calls and finding the right combo to get it right. i begin on monday at mayo cinic. i am glad to finally be in treatment so maybe, finally, i won’t be in pain or on the verge of being in pain! 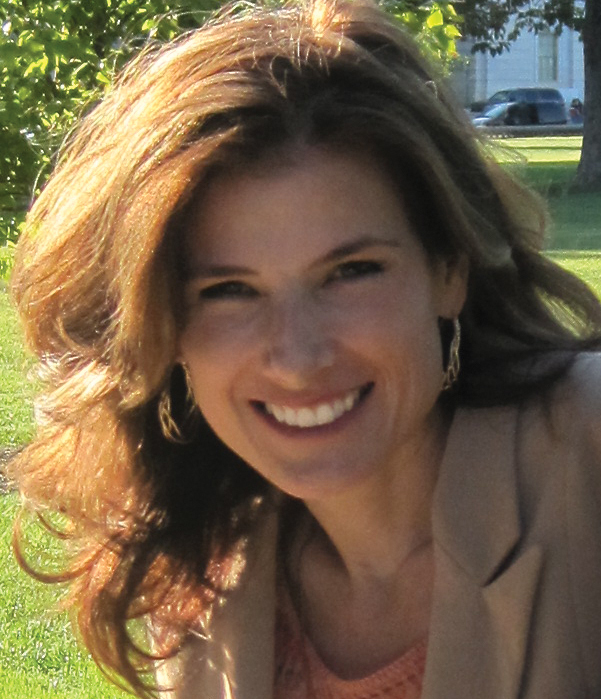 i had some similar issues with enbrel, a previous biologic, and also with my IVF injectables. all eventually were covered, but it was by the medical part of the insurance, not the pharmacy part. or something like that. i would get different answers every time i called, but whatever the excuse was, the right hand of the insurance company had no idea what the left was doing. regardless, with enough effort on my part, it all worked out. That is a good point – the same as with government or the IRS – it seems there may be conflicting policies. So true! Since when does the insurance companies get MD behind there name? Oh thank you, Kelly! I’m so glad you posted this because I always managed to blame myself for the pharmacy issues. I’m not crazy—there are pharmacies out there that are wonderful and then there’s those that aren’t so much. I have had problems with medication and insurance errors at several national chains (Target, several Walgreens locations in town). I finally believe I’ve found a wonderful pharmacist who is willing to go to bat for me with my horrendous insurance and is competent enough to give me THE CORRECT meds in the correct dosage. I even get reminder customer service calls from their specialty pharmacy department when it’s time to reorder, and they are a great liasion between pharmacist and insurance. It’s absolutely remarkable what it takes to get a live person on the phone at my insurance provider, and I know my orders are somewhat complicated, but so far so good. I think there are good people working in some pharmacies who genuinely care and take their responsibility seriously. I’ve got that and I’m sticking with it. While we’re talking about wonderful systems that work I’m going to jump in,even though my system is totally different over here in the UK, and after reading this post and the comments, I’m counting myself extremely lucky. On our NHS system, all taxpayers pay in per month to the National Insurance system. This gives us all medical care, dr/consult visits and surgeries, tests etc free at the point of use. For my meds I buy a yearly pre-payment card for just over £100 which I pay on direct debit at just £10.40 pm, this allows me as many prescriptions as I need and whether I have 2 items a month or 22 I pay the same. My mtx injections are sent out by my rheumy nurse to my local GP surgery, I just pick those up once a month, with nothing more to pay. My pharmacist is wonderful (I use Boots the chemist), & my monthly meds are all done up for me to fetch once a month. I am just praying hard that our goverment don’t change this system as it works so well, & the thought of having to argue with insurance companies and pharmacies scares the life out of me. and I”m sorry you encountered that too. 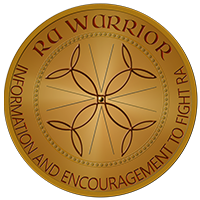 I think it’s common- here’s one place with some discussion of it: http://www.rawarrior.com/mission-impossible-crowd-management-with-ra/ It happens to me any time I”m in public – they doubt I need any help if I ask for it. At my home airport, if I don’t use the wheelchair sometimes (it hurts) people who are more-able-bodied RUN around me to grab the few seats and I just wait for the next shuttle again because I cannot stand for the short ride holding onto a bar with my hands – I know I’ll fall..
My local Target Pharmacy also gives great service, but so far my insurance company has also. My CVS Pharmacy on A1A in Vero Beach Florida just removed against her will the Pharmacist that had been in the store for 30+ years. She lives in the neighborhood and has known and cared for our families since our grown children were babies. She was removed because she could not give flu shots. She has a doctors letter stating that she would faint and simply can not safely give injections. I hope to never darken the door of a CVS Pharmacy again. A company that treats a loyal long term employee in this way is not deserving of my business. I have expressed my feeling via the 1-800-shop cvs phone line, but am not encouraged to believe that anyone in the corporate structure cares. Hi, I realise this article is old but, I must say some pharmacy personnel Do, treat those with with serious disease including RD with no respect, dignity or empathy. If ones disease causes pain, and your Dr writes a prescription for pain relief medication, some of their employees will actually not fill it, short the actual amount written, or delay filling it ( out of stock) or worse yet say No without a dignified reason. Those who do this can get away with saying no, rendering a customer with extreme pain to suffer.Until they can have their prescription dilled. It’s not always, or with all of them but it does happen a lot. I pray that one day those who purposely make it impossible for us who live in chronic pain a right for a dignified less painful life would be held accountable for doing harm because of their actions.Someday, someway, perhaps these actions by some bad apples will stop or face professional repercussion for doung harm. God bless all who face RD and other painful and desructive illness. Thank you Kelli for all you do. 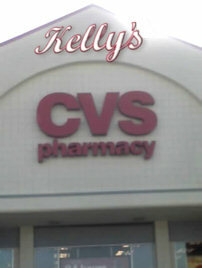 So sorry Kelly , I misspelled your name. Thank you Kelly for all you do!